One of the most important parts of any kitchen is a great knife. From novice chefs all the way to culinary masters, this tool is absolutely essential to the proper preparation of any recipe. 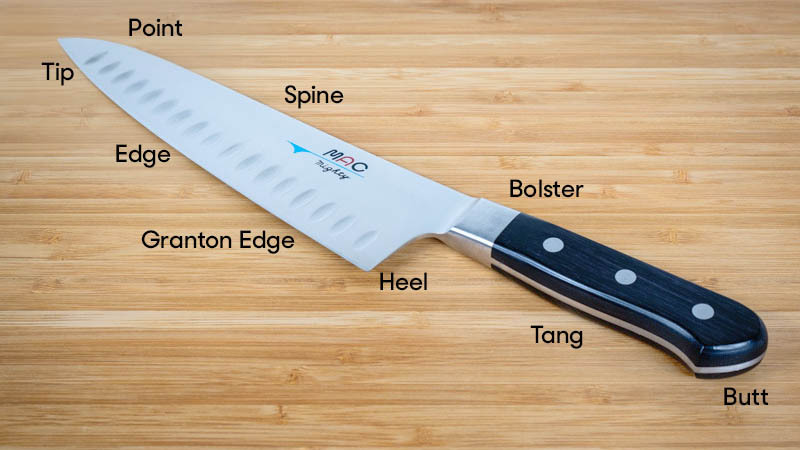 Whether shopping for yourself, your kitchen or a loved one, there’s a lot that goes into finding the right chef knife for your needs. Knives come in a huge variety of sizes, and many brands offer multiple lines of knives. If you’re in the market for just one all-purpose and high performing knife, shoot for a length of eight inches, as many experts suggest. Eight inches is great for most types of food you’ll come across, and remember that more isn’t necessarily better. A 12 or 13-inch blade might look impressive but can make it hard to be nimble with your movements. There is a seemingly endless slew of options that affect every part of the knife: full bolster? Half bolster? Full tang? Granton edge? It can get incredibly overwhelming. No guide can help you answer all of these questions, so the best way to choose which features are a good fit for your style is to visit a store and come prepared to ask questions about the advantages and disadvantages of each aspect of the knife. Herbs: can it cut the leaves without bruising them? Carrots: can it slice carrots without splintering them? Butternut Squash: can it slice into and peel it? Chicken: can it successfully butterfly a breast? At the end of the day, the best knife for your needs will come down to personal preference and, ultimately, how excited you are to use it!